Bill Ackman is one of the most successful activist investors and his 13D disclosures make a huge impact in the marketplace. 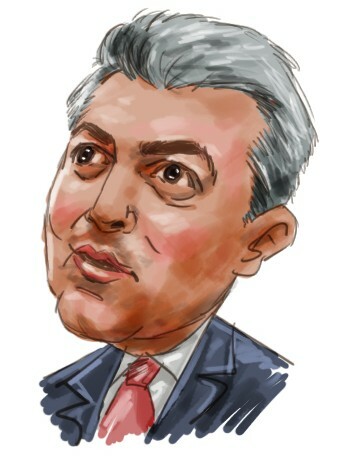 Recently he disclosed an 8.6% stake in Alexander & Baldwin Inc and the stock jumped 20% in one day, closing at $54.11. It wasn’t a good idea to buy the stock that day though. This week one could have bought ALEX at less than $47. Martin Whitman’s Third Avenue had $66 Million in ALEX at the end of first quarter. He must have been thrilled with Ackman’s activist stake. During the first quarter Bill Ackman sold his General Motors (GM), Target (TGT) and Automatic Data Processing (ADP) stakes entirely. General Motors was one of the most popular stocks among hedge funds at the end of 2010. John Griffin’s Blue Rigde, George Soros, David Tepper’s Appaloosa, Roberto Mignone’s Bridger Management, Richard Perry’s Perry Capital, Larry Robbins’ Glenview, Doug Silverman’s Senator Investment Group, Barry Rosenstein’s JANA Partners, Paul Tanico’s Castlerock, Pavel Begun’s 3G Capital and Leon Cooperman’s Omega Advisors are among the several high profile hedge funds with GM positions. David Tepper and George Soros sold almost all of their GM stakes. John Griffin, Larry Robbins, Doug Silverman, Barry Rosenstein, Paul Tanico, and Pavel Begun sold their entire stake. The interesting thing about General Motors is that David Einhorn’s Greenlight and William Harnisch’s Peconic Partners started brand new positions. Craig Effron’s Scoggin and Richard Perry also increased their stakes as GM’s stock price went down.